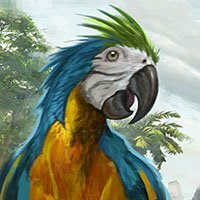 TLDR: Dev's stop making stupid ideas like Fountain of Youth/Card games/Subs/Giant Crabs Fix basic mechanics on PVE server. Fix Tames disappearing around boats Fix bugs Dev's take less drugs. There's my public service done for the day. Correct me, because I think I'm wrong. With the new changes to the colony server. Mega's split into smaller companies own the islands, recruit small companies to live on those islands. Content for those wanting to raid and burn will involve smashing those smaller companies bases during the 'timer' and avoiding doing any damage to the owners of the Island? So this new server only secures the mega's as a controlling power? @Knivet I'm talking about Online play though. When you're ship isnt anchored or protected by the offline protections. Would you not like to see some sort of boarding actions in PVP? My apologies, I miss read this. I thought you were directing that at me. I've been trying to get some friends back to the game and the number one issue they had was they used to love boarding ships during fights. Via glider/grappling hooks etc. But after a while, everyone started putting a npc swivel on every ship bigger than a sloop. Killed their interest in the game, wondering if anyone else has the same thoughts? I think Sea of Thieves style of anchoring a hostile ship so you can actually brawl it out/board ships is really awesome and something we're lacking in the current meta. Could you list these reasons? Why would I still go to power stone islands? Once it's been collected already and the stupid fountain naked run. Farming resources not on the island, yes, might have to do that once every 2 weeks maybe if you're burning through BP's (hopefully finding pvp/raiding). You're assuming mixing involves cohabitation. Instead of having multiple timezone players in the same company. For example, we have a few night shift players that come on around 6am eu time for a few hours every day. They'd be blocked out from raiding anyone around us, if they also share EU timezone primes (I assume most EU companies will use an EU timezone as raid times). That's an entire aspect of the game removed from them now, as they're playing in a period where the servers are quiet anyway thus the likely hood of finding pvp is low. My issue is this: Now, if you don't play at the peak times, you're completely locked out of a portion of the game. They may as well be playing on the PVE server, if farming/pve is all they should do according to previous responses here. Dragons though.... whyyyyy dragons. Only people using them are the major companies to end fights before they start. Not sure this ORP change will do anything for the population. Just means the people coming on for pvp wont log on at particular times of the day. So for example, I can look at my discord and say there's 10 people playing atm. But once the war changes go live, there'll be maybe half of that playing when they cant hit someone. Meaning that then the more casual players won't see there friends online and will probably head over to rocket league instead (for example). . There are places for the taming/trading community. They exist in the entities big enough to protect them. Nah, EA has Fifa. A yearly gold mine. I agree with everything else you said though. Heavy cannon meta killing the naval fun? The issue Mike, is that the large cannon kite meta means that to get a fight against such a player, you need to face tank a few volleys just to get close. Losing planks/sails in single volleys. That doesn't make for exciting pvp.